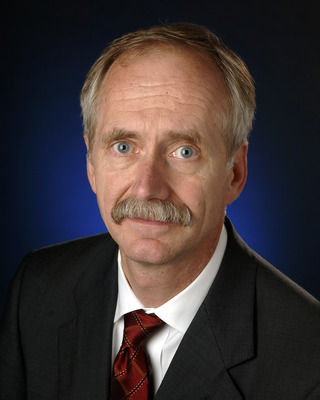 William H. Gerstenmaier is the associate administrator for the Human Exploration and Operations Directorate at NASA Headquarters in Washington. In this position, Gerstenmaier provides strategic direction for all aspects of NASA's human exploration of space and cross-agency space support functions of space communications and space launch vehicles. He provides programmatic direction for the operation and utilization of the International Space Station (ISS), development of the Space Launch System and Orion spacecraft. He also provides strategic guidance and direction for the commercial crew and cargo programs that will provide logistics and crew transportation to the space station, and to NASA’s journey to Mars. Gerstenmaier is the recipient of numerous awards, including three NASA Certificates of Commendation, two NASA Exceptional Service Medals, a Senior NASA Outstanding Leadership Medal, the Meritorious Executive Presidential Rank Award, and Distinguish Executive Presidential Rank Award. He was honored with an Outstanding Aerospace Engineer Award from Purdue University, and twice honored by Aviation Week and Space Technology for outstanding achievement in the field of space. He is an AIAA Fellow and the recipient of numerous AIAA awards including, the AIAA International Award, the AIAA International Cooperation Award, the AIAA the von Karman Lectureship in Astronautics, the AIAA von Braun Award for Excellence in Space Program Management. Gerstenmaier has been the recipient of the National Space Club Astronautics Engineer Award; National Space Club Von Braun Award; the Federation of Galaxy Explorers Space Leadership Award; Purdue University Distinguished Alumni Award; and honored at Purdue as an Old Master in the Old Masters Program. He was the recipient of the Rotary National Award for Space Achievement's, the National Space Trophy and the Space Transportation Leadership Award, the AIAA von Karman Lectureship in Astronautics, National Space Society’s 2017 Space Pioneer Award, and the 2017 AIAA Goddard Astronautics Award.